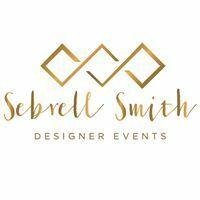 Sebrell Smith Designer Events - Sebrell Smith Designer Events offers professional guidance, planning, production and detail management for any event, great or small. We specialize in destination weddings throughout the Lowcountry..
Sebrell Smith Designer Events offers professional guidance, planning, production and detail management for any event, great or small. We specialize in destination weddings throughout the Lowcountry..
Macon Tent Rentals in Macon, GA provides custom designed tents, tables, chairs, staging, dance floors and table linens for weddings and corporate events. The Augusta String Quartet is a group of professional musicians who serves the Greater Augusta metropolitan area with an extensive range of music for any kind of event. An online shop for beautiful and exclusive Indian wedding cards The collection offers unique and exceptional designer Indian wedding invitations.